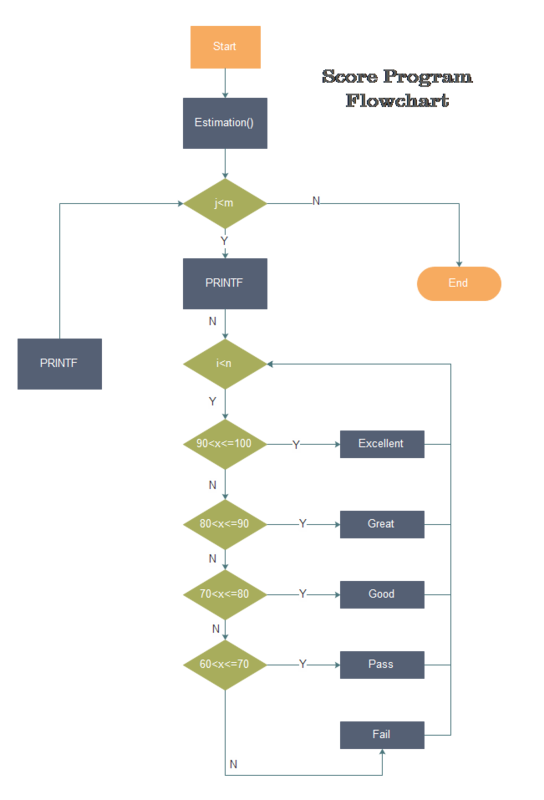 Creating flowchart examples for students is the easiest way to arouse their interest in flowcharts and get to know flowcharts better. Following are some flowchart examples for students, which are taken from the daily life, interesting and can be understood effortlessly. Am I Admitted to No.1 High School? Entering into No.1 High School is the dream of most students. This simple flowchart tells them the basic requirement of No.1 High School. Students can make out the study plan according to their own situation to realize their dream. Should I do My Homework Now? 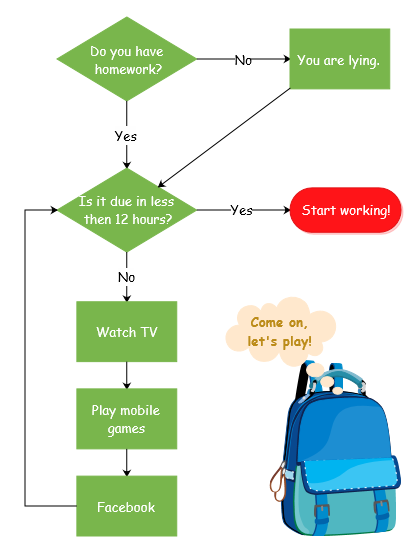 This funny flowchart vividly shows that doing homework is an unavoidable and annoying thing for almost all the students. They usually never do it until to the last minute. Watching TV is a common entertainment activity after school, but it is hard to choose what kind of TV to watch cause there are so many types of TV plays. 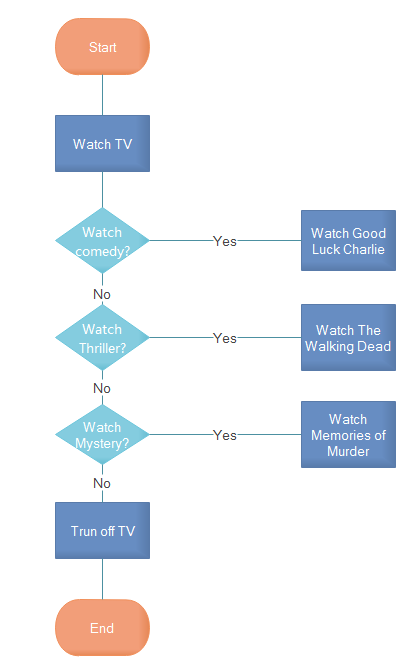 And below flowchart graphically depicts the dilemma. What to Eat for Lunch on Sunday? 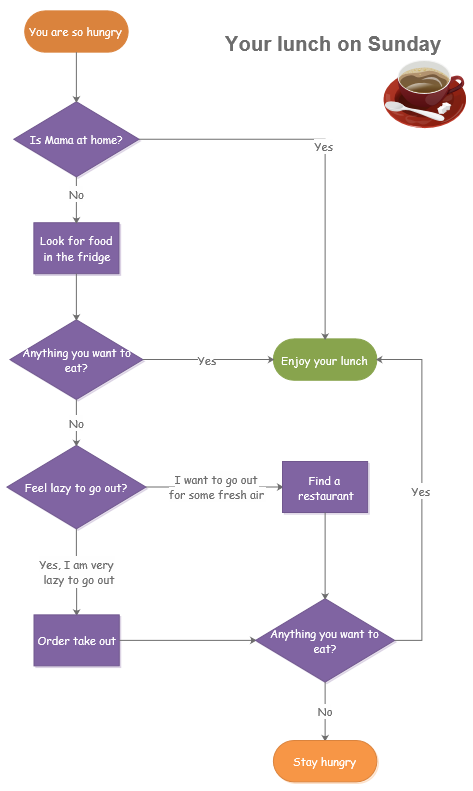 This flowchart vividly describes a common Sunday when mom is not at home and you are wondering what to eat. Do not know which fruit is your favorite fruit? Creating a flowchart like below to find out your answer. Should I Say Hi When I Forget the Person's Name? There are so many students in a class and it’s difficult for you to remember all the names in a short time. 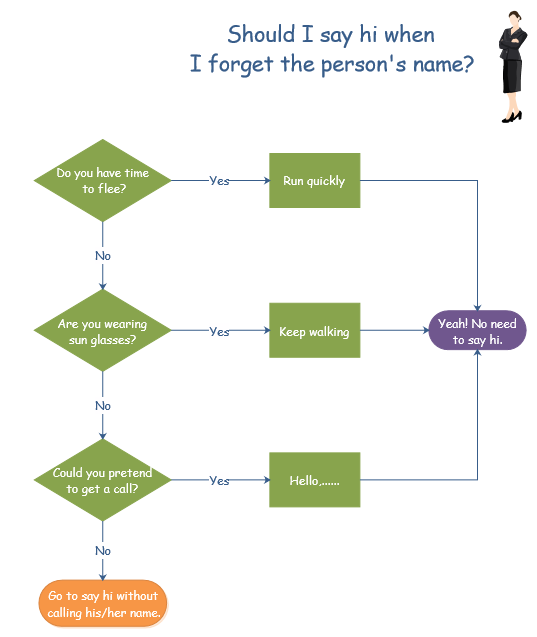 This flowchart tells you what to do in the awkward situation when you meet someone but forget his name. How to Divide the Age Bracket? 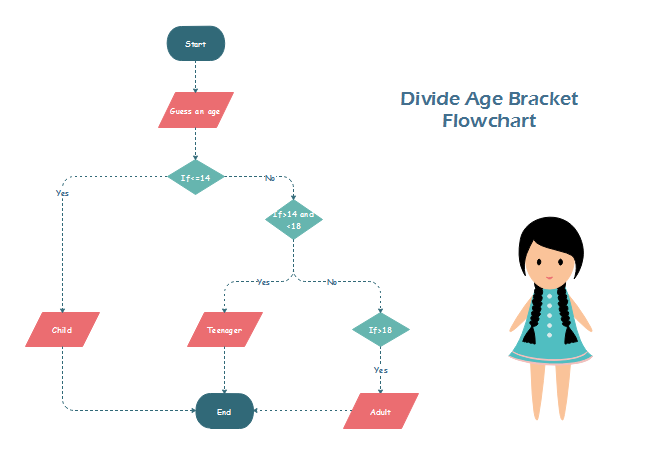 The easiest way to define the age bracket is drawing a flowchart and input the information you want then judge it. Students can also use this flowchart to judge the size of numbers. Mommies always wants their kids obedient and listen to them. But it should depend. 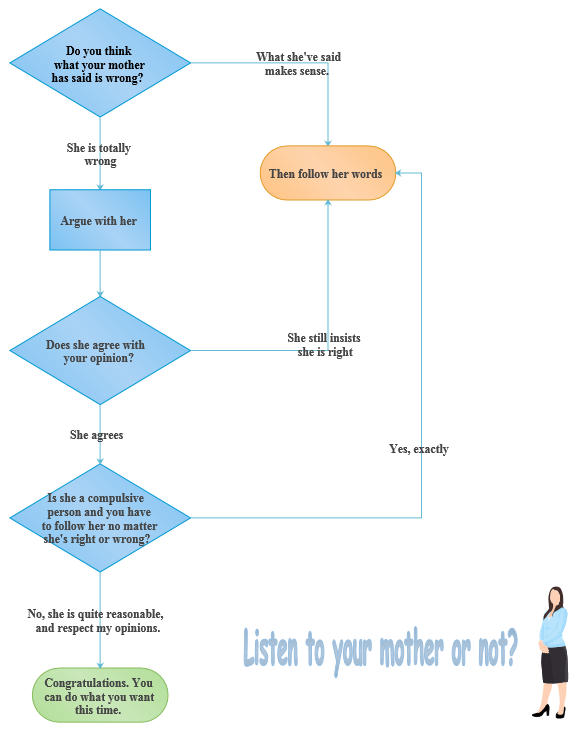 This flowchart shows some situations when should kids listen to their mommies. Still wondering the test result? 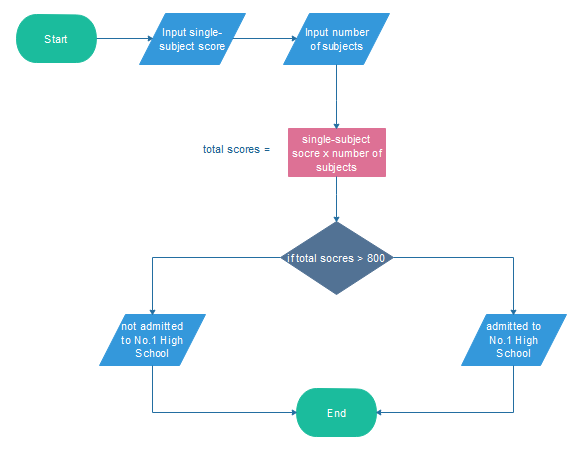 Draw a flowchart like below one and input your score, then you can know whether you get Excellent, Great, Good or just pass the exam. 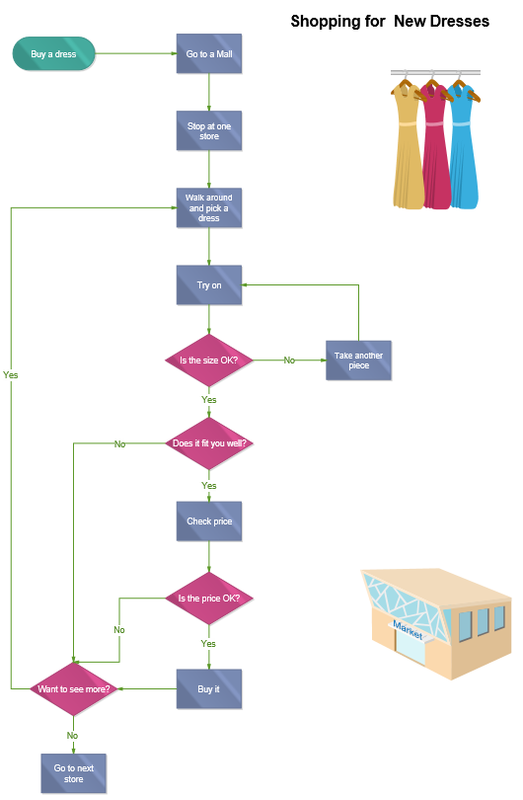 This flowchart vividly depicts the process when a girl buys new dresses and you can also apply this flowchart in many other situations. 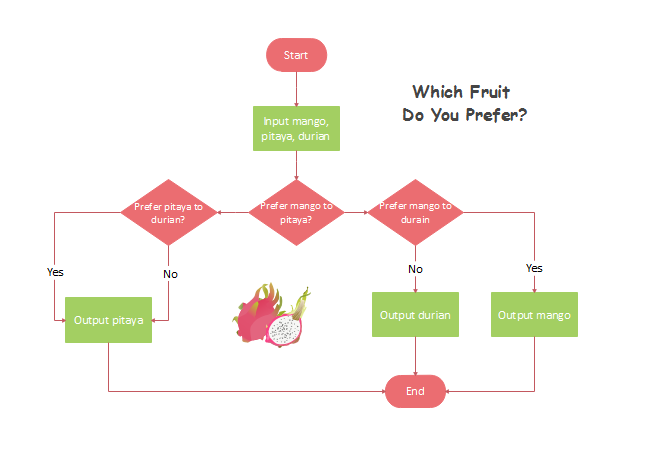 Are you interested in creating such funny flowcharts? Download Edraw Flowchart Maker and create right now!